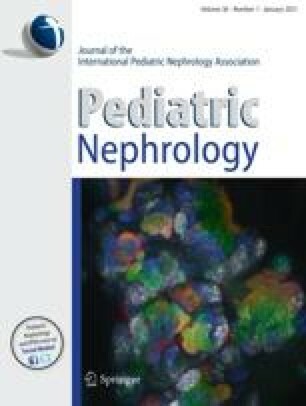 Urinary excretion of calcium, magnesium, phosphate, uric acid, oxalate, and creatinine was measured in 208 children (aged 8 – 15 years, 124 boys, 84 girls), living in a residential school near New Delhi. Levels were reduced compared with those reported from developed countries. The 95th percentile value of 24-h creatinine excretion was 33.4 mg/kg, calcium 2.2 mg/kg, magnesium 2.9 mg/kg, phosphate 9.4 mg/kg, uric acid 4.4 mg/kg, and oxalate 1.5 mg/kg. The 95th percentile value of the urine calcium/creatinine ratio was 0.15 and oxalate/creatinine 0.06. The dietary intake of proteins, calcium, and other nutrients in these children was less than recommended and explained the reduced urinary excretion observed. Physicians need to be aware of the regional patterns of normal urinary excretion of these constituents.